Llanallgo Church Rooms is pet friendly. These are the reviews for Llanallgo Church Rooms. There are 49 reviews. Our stay here was fabulous. We wee able to explore north wales from this base with beaches within a few minutes drive from the accommodation. The house was well stocked with everything you could need for all age ranges - we went with 2 toddlers. I would recommend this as somewhere to stay. Our stay here was fabulous. We wee able to explore north wales from this base with beaches within a few minutes drive from the accommodation. The house was well stocked with everything you could need for all age ranges - we went with 2 toddlers. The cottage was a great size for the family. It was comfortable and cosy. We especially liked the location. We had a fantastic holiday. The property was beautiful. It was well equipped and very comfortable. We would definitely use it again. Another fab time at this spacious and lovely property. Three generations and branches of one family and a dog enjoyed an amazing week. The weather was ....... well winter but we had some stunning times in the sun and freezing cold wrapped up on Molfre, Bannlech and Red Warf Bay walking and building/destroying sand castles. My husband is a chef and so we all enjoyed amazing meals made better by the excellent kitchen facilities and utensils available. Cold though it was we did not need to light the log burner, super warm house all the time. The property was absolutely lovely; the photographs were fantastic but this was a rare case of the real thing being far superior. The kitchen was brilliantly stocked, everywhere was clean, the beds were comfy, the showers great and the dining area large enough to accommodate everyone so that we could remain together. The area was stunning and we walked for miles; it seemed like everywhere we walked we could gaze at the sea. It was fabulous and healing for kids, dogs and adults. Everything was extremely impressive. We had the time of our lives and will be booking to return as soon as we can. All of our party thoroughly enjoyed their stay at Llanallgo Church Rooms, for us everything was perfect. A spacious, well-equipped property with all required comforts and super views over the fields. It was near to excellent beaches and within reach of attractions for small children. The people of Anglesey seemed exceptionally friendly and pleasant. We arranged a family gathering to celebrate a couple of birthdays. This fantastic venue has created wonderful memories for us all to keep. The property was ideal for a family get-together, accommodating 3 generations very comfortably. With 4 toilet/bathing facilities there were no lengthy queues and the two alternative 'lounging' areas meant that all ages could be catered for! The overall size was impressive and the décor complemented the historic features of the property well. A fab house, really enjoyed our stay and would definitely recommend! What a well presented spacious cottage in a gorgeous location. We have teenagers, middle aged parents and grandparents in their 70's. This cottage suits us all, and there is room to spread out. The teenagers are pleased with the wifi, the kitchen amenities are all there. Some beautiful villages and walks around the area, idyllic location. The only thing I could suggest for improvement would be bigger beds, the rooms are large so they could take a kingsize or super king and still have plenty of room. I recommend this property to people of all ages, it's wonderful. This was written by One of the party. Church Rooms was a beautiful house and I would not hesitate to return or recommend to others. The house was perfect for our family of 8 adults and 3 children. Well equipped, spacious and spotlessly clean. We had a wonderful time. The property was spacious, comfortable, warm, well equipped and stylish. Very nice décor, it was calm and uncluttered. Loved the conservatory, it was light, warm and had plenty of seating for all the party. The house was nicely situated, very spacious and suited our family reunion perfectly. It was very well equipped with lovely clean white cotton bedding and towels. Plenty of storage was available. The Wifi was extremely useful and appreciated. We enjoyed a few BBQ'S in the garden, and loved being joined by the friendly cow's in the adjoining field who popped their heads over the garden wall to say hello. The holiday was fabulous and made all the more better by the fantastic accommodation at Llanallgo Church Rooms. We were most impressed on arrival and the photos do not do the rooms justice as they are larger and more spacious than they look. They are also in a good location being a couple of minute drive into Moelfre and are also not far away from other places that we visited such as Beaumaris and Benllech. We enjoyed excellent meals at two of the local pubs, Ty Ddrew and the Kinmel Arms and would highly recommend these. All in all every one of us thoroughly enjoyed the holiday and would definitely recommend and stay at Llanallgo Church Rooms again, thank you. Fabulous property which catered more than adequately for our 8 adults, four young children and a baby. The house was large enough to escape to a quiet spot if required and we had forgotten what a lovely island Anglesey is. Terrific few days with our family. Great sized property for all the adults and kids to enjoy. Everyone enjoyed their stay at the house. It is in a great location on the island. We travelled all over. We would definitely go back. The cottage is fantastic. Well equipt, spacious and very attractive. My only suggestion would be king size beds in the double rooms, as the current ones are rather too small for 2 people to sleep comfortably in - and the rooms are certainly big enough to take larger beds. It was an amazing venue to bring together my family from their various locations in the UK. We had a really great time. 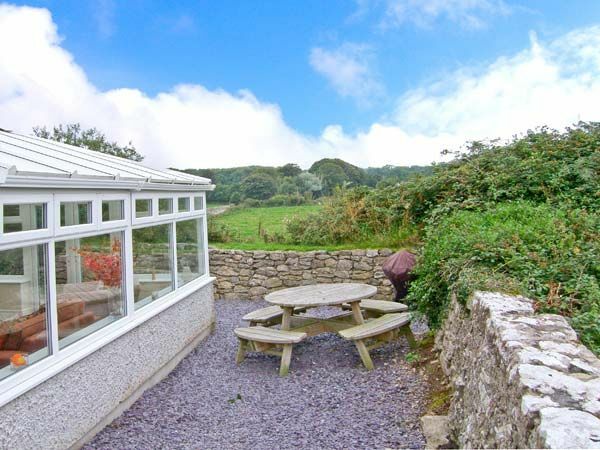 Great property, handy for a lovely beach, a short walk to an excellent pub for food, and Moelfre is delightful. The house was large and very comfortable for 10 of us plus baby. The local beach was especially good, easy to reach and very clean. This was our first visit to Anglesey and we were impressed with the whole area. A fantastic place! The house was absolutely amazing and the quality of the furniture and fittings was excellent. Really amazing that the owner of such a beautiful property even allowed us to bring our dogs as well - thank you so much. Great holiday accommodation, good location. Very roomy, was true to the pictures so it was what we expected - really nice décor and had everything we wanted with plenty of parking. An added bonus was towels included which is unusual and very nice clean beds. Beautiful property, location & beach were excellent. Plenty of room to sit at the dining table. We liked it so much we are thinking of booking again for next year. Bedding was clean & crisp. Best property we have had so far. Lovely cottage with all you could need for a relaxing holiday. Easy to find and ideally located with regards to local areas and beautiful beaches. We were a mixed group ranging from 10 - 84, grandparents, parents and grandchildren. The house is pure luxury with high quality furniture and units. The large kitchen proved a great success as did the conservatory attached. Bedrooms were furnished with simple but quality furniture and afforded the most stunning views. We did have a few problems but these were quickly sorted by the property manager. As we had cars, we did not try the local transport but buses went past regularly. The walk to the beach each morning was idyllic (although we did have a couple of very wet days! ), passing several points of historical interest. It is not easy to find a property that can be afforded, that will take 12+ people and a dog and suit everybody's requirements. But this did! The property was large, spacious and well equipped. The kitchen had everything needed and more besides. All rooms were very comfortable and nicely furnished. It was a very good base to explore the lovely Anglesey coastline or to just relax and de-stress. We would definitely visit again. One of the best places we have stayed, it was wonderful. We couldn't ask for better and hope to return at some point. A cottage that was found to be just as descibed in the brochure, that was easily booked, sptlessly clean, well located, warm and very spacious which i woul recommend to anyone looking to stay on anglesey, will certainly return again. Nicest cottage we ever had. It was warm, spacious, clean and modern. Llanallgo Church Rooms was beautifully decorated and the details have been carefully considered. Everywhere you looked were lovely little touches. We visited over Christmas and the place was lovingly decorated with very tasteful decorations. The cottage was fabulously spacious for our party of 10 adults, 2 babies and a dog. After cottage holidaying for 10yrs, this cottage rates in the top 2! We were also exceptionally lucky with the weather! 18.5C on 1st November! Crazy! Second visit to this property. It's as good as it was 2 years ago. This was the happiest family holiday we ever had together, made more so because the owner was so accomodating in every way. We were fortunate to have the good weather, but the Church rooms are so beautiful, tastefully presented, well stocked and comfortable that we could have happily stayed in if the weather was bad. Location is great as well - Lligwy beach is really nice and we went there quite a lot over the week. I am usually glad to be going home at the end of a holiday, but i could have cried when we had to leave, this time. Our daughters and sons-in-law loved it as well. We all hope to return sometime. The accommodation facilities for a large group were excellent. The booking arrangements were easy and straight forward and Sykes were friendly and helpful. We would certainly recommend it and would like to return to the area for future holidays. We wanted somewhere for a week that the family could come and join us for the weekend to celebrate our 30 wedding anniversary. We know anglesey well and knew this property from the outside but the "Wow" factor when you walk in is terrific. Although there was 12 of us on the Saturday there was plenty of room for everyone. There is a beautiful conservatory and the kitchen is to die for and is very, very well equipped - catering for our guests was not an issue. The bedrooms are tastefully decorated and plenty of bathroom facilities. The situation is quiet and close enough for a nice evening walk into Molfre. Lligwy beach is a lovely sandy bay and only 5 mins away by car. Good base to tour the Island if that's your thing but you might have trouble getting people away from the conservatory, newspapers and coffee !! Everyone in the party loved the place - My Mother & Father in law decided to stay until the Thurs (and only leave then because of an appt) - My sister in law went back Sunday, into work Monday and booked the rest of the week off so she was back down with us Tues morning - We all had a wonderful break and the owner is a very pleasant lady to deal with. There is a £200 good housking bond but we had no issues with that and it was refunded directly back into my bank account. A wonderful family holiday. We could not believe how lovely and how spacious the house was; just what we needed for 3 couples and 5 children. The kitchen was really well stocked and everything we needed was there. I honestly could have cried when we had to leave. I hope we can afford to do it again, it was so worth it. A very impressive house which was very well equipped. Overall, a brilliant property in very good condition and an ideal place whatever the weather. Perfect for our purpose. Fantastic house, very well stocked with everything we needed in the kitchen, much better than anticipated. Pictures on website do not do the house justice. It is so much nicer! We celebrated a 50th & 60th birthday and stayed in this wonderful house with family and friends. What can I say - the house is outstanding, luxurious and comfortable. The area is lovely and lots of sight seeing was done. The whole family and friends were so impressed with the layout and the décor of the house. Early morning coffee in the conservatory - what a great start to the day. Plenty of room around the table for us all to be seated. Kitchen to die for! It had everything you could possibly need and more - an absolute delight to cook in. We had a meal at one of the pubs in the village and at an Indian restaurant called Sopna about - food was amazing and not too expensive either. I would definitely recommend this glorious house to anyone wanting to stay in Anglesey and we would also all love to return there. Beautiful! We celebrated a 50th & 60th birthday and stayed in this wonderful house with family and friends. What can I say - the house is outstanding, luxurious and comfortable. The area is lovely and lots of sight seeing was done. The whole family and friends were so impressed with the layout and the decor of the house. Early morning coffee in the conservatory - what a great start to the day. Plenty of room around the table for us all to be seated. Kitchen to die for!! It had everything you could possibly need and more - an absolute delight to cook in. We had a meal at one of the pubs in the village (cant remember the name - but was near the Co-oP on the right hand side on the hill. We also had a meal at an indian restaurant called Sopna about 15 mins from the house - turn right at the roundabout and just stay on the road, past the VW/AUDI garage on the right - yellowy building - food was amazing and not too expensive either. I would definitely recommend this glorious house to anyone wanting to stay in Anglesey and we would also all love to return there. Beautiful. The house was perfect for a family gathering which included grown-up children,grandchild &girlfriend.The; space enabled individual privacy &was; the perfect location for 60th birthday celebrations.The only downside was the roadside location.The owner was friendly & helpful.Well equipped but missing a teapot-vital for large family gathering. We found The Church Rooms to be a spacious, excellently equipped house with lovely, individually designed bedrooms and furnishings. It is within easy reach of beautiful beaches,lovely villages, shops and good restaurants, absolutely perfect for a family holiday. If you're looking for other cottages around Llanallgo Church Rooms, we've got some cottages below which may take your liking. 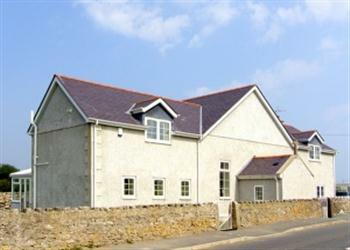 There are 86 cottages within 5 miles of Llanallgo Church Rooms - and they have reviews too.